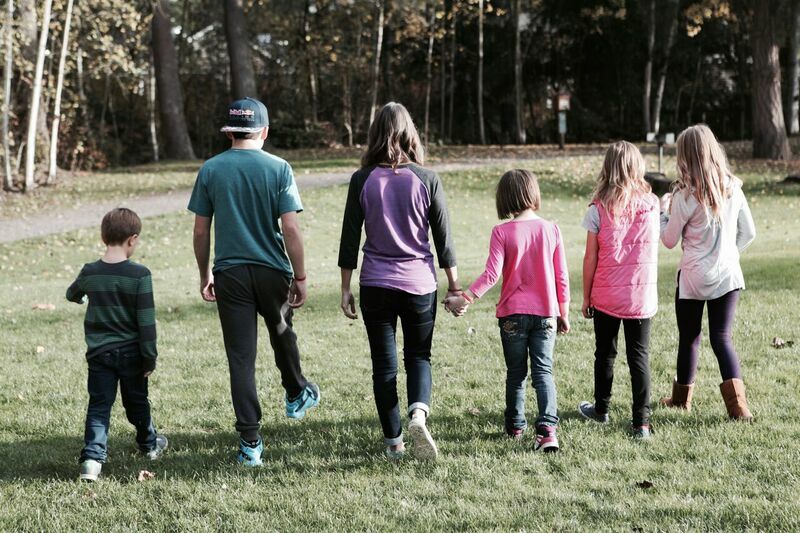 Karly and Robbie Leib of Sammamish have five children, two of whom they adopted out of foster care. She has become a vocal advocate for foster parents and children. The state has fewer foster homes, which means fewer places for children in need of safe shelter. The number of foster homes plummeted to about 4,600 last year – more than 1,000 fewer than had been available for decades. The state attributes part of the drop to cleaning up its database. It also took some caregivers and kids out of the system by no longer requiring that relatives be licensed. But parents are clearly leaving the system. Only 102 of the 1,100 homes that got licensed in 2005 were still accepting kids a decade later. Meanwhile, more kids need help now as the opioid addiction crisis claims their parents. State caseworkers, already weighed down by heavy workloads, often struggle to find homes for foster children. Foster parents say they get more calls and emails from frantic social workers now than a year or two ago. When homes aren’t available, the children – as young as 2 – are sent to hotels, where social workers stay up all night to keep watch and then shuttle the kids back to the office for the day to keep searching. Hotel stays in the past year have skyrocketed, with kids spending nearly 900 nights in commercial lodging. Sometimes kids even get stuck sleeping in caseworkers’ offices. The state is also paying increasing rates for single-night stays at a handful of foster homes that charge as much as $325 a night for nothing more than a bed to sleep in for a few hours. This after foster parents had to sue the state for an increase in their monthly reimbursements. The remaining foster homes are full, and children are moved around more often. The homes that are available are full. Some caregivers who take children for a weekend end up keeping them for months. As of July, there were 4,891 children in licensed foster care. There were 5,070 homes in the system, although not all of those listed actually accepted kids. That thin margin leaves social workers scrambling just to find a place to send kids and unable to search for a good fit. The result is a system so strained that some kids are being moved dozens of times, more than a decade after the state settled a lawsuit requiring it to give foster children more stability. This extreme rootlessness hurts their chances of emerging as productive citizens. That means greater costs for taxpayers, since former foster children as young adults face high rates of homelessness, along with drug abuse and the resulting arrests and hospitalizations. The problems have the attention of some state officials, and lawmakers may intervene, although the outcome is far from certain. State officials and a few legislators acknowledge many of the problems. One solution they are exploring is to shuffle the Department of Social and Health Services bureaucracy by cleaving off the division that runs the foster care program, the Children’s Administration, into its own agency. The higher status could inspire the Legislature to give the Children’s Administration more attention and money, helping it pay higher salaries and keep its workers. Gov. Jay Inslee appointed a study commission whose report is due Nov. 1, the same day another report is due to the Legislature on ways to address the foster home crisis and improve stability for children in care. This project was produced with support from the Fund for Investigative Journalism and the Satterberg Foundation. Does the MERS lawsuit signal a transparency gap? It is a sad broken system. We were foster parents for 12 years. We started in 1988. Things were much different then. We had over 230 kids in our home and adopted 3. When we left in 2010 things had started to change. Caseworkers weren’t as helpful and stopped supporting foster parents. In 2013 we adtoped again and the process was so different. Then in 2015 we had the worse experience with DSHS social workers when we took in our grandson. I can totally understand why there is ‘t enough foster homes. It is so sad because they are so so needed.